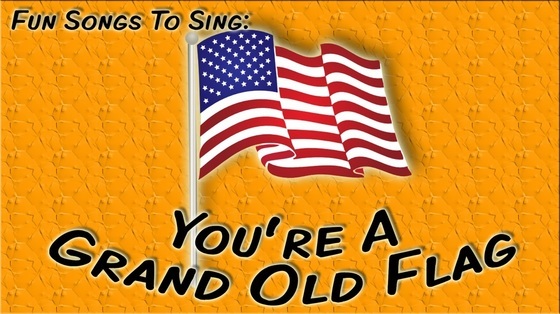 Our assembly song for this week is "You're a Grand Old Flag", and this week marks the 110th anniversary of the song. 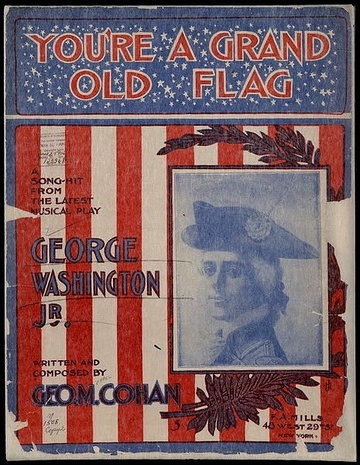 This patriotic American song was written by George M. Cohan in 1906 for his stage musical called George Washington, Jr. 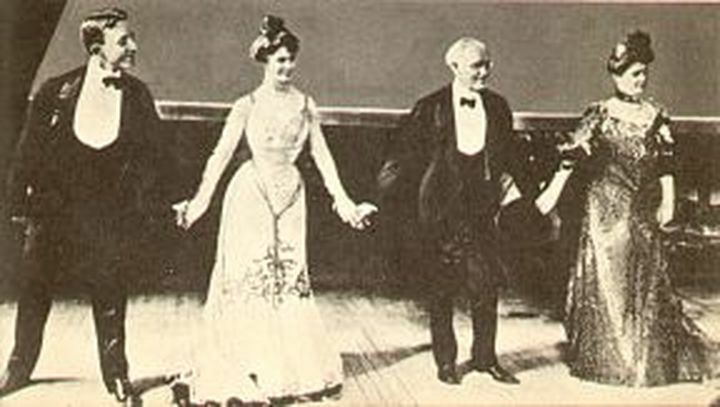 The first public performance was on February 6, 1906. The idea for the song came from an encounter Cohan had with a Civil War veteran who fought at the battle of Gettysburg. The two men found themselves next to each other, and Cohan noticed the veteran was holding a carefully folded, but ragged old flag. The man turned to Cohan and said, "She's a grand old rag." Cohan thought it was a great line for a song, but respectfully changed the word 'rag' to 'flag'. Cohan's song is a spirited march and a tribute to our flag. It contains little bits of other popular songs, including the New Year’s Eve song, “Auld Lang Zyne”. After its preview in the musical, it became the first song in American history to sell over one million copies of sheet music. Click below to hear our assembly song for the week with lyrics. Listening Example: "You're a Grand Old Flag"
George Michael Cohan, known professionally as George M. Cohan, was an American entertainer, playwright, composer, lyricist, actor, singer, dancer and stage producer. Cohan is known as "the father of American musical comedy", and is often referred to as just “George M”. 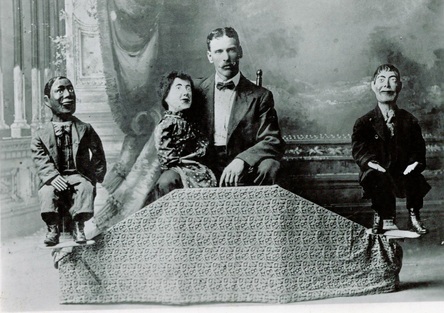 He brought entertainment to many people in the early 1900's. Cohan became one of the leading songwriters in New York City’s musical district called Tin Pan Alley. He published around 300 original songs noted for their catchy melodies and clever lyrics. They include "I'm a Yankee Doodle Dandy", “Give My Regards to Broadway”, “Harrigan", and "Over There". 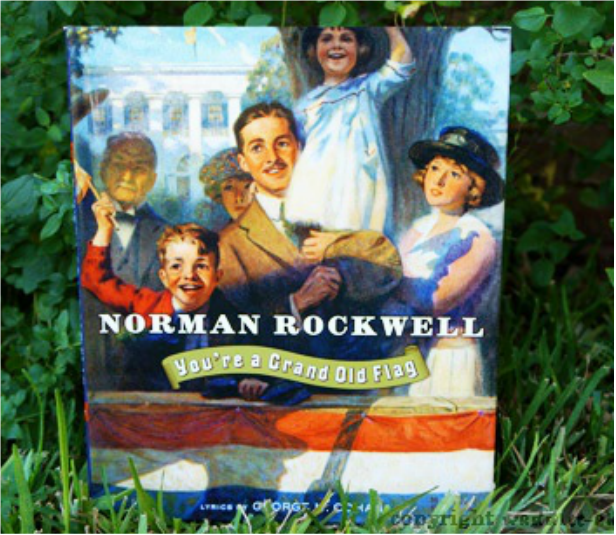 The song “You’re a Grand Old Flag” was so popular that a book was printed with the lyrics and patriotic illustrations by American artist Norman Rockwell. 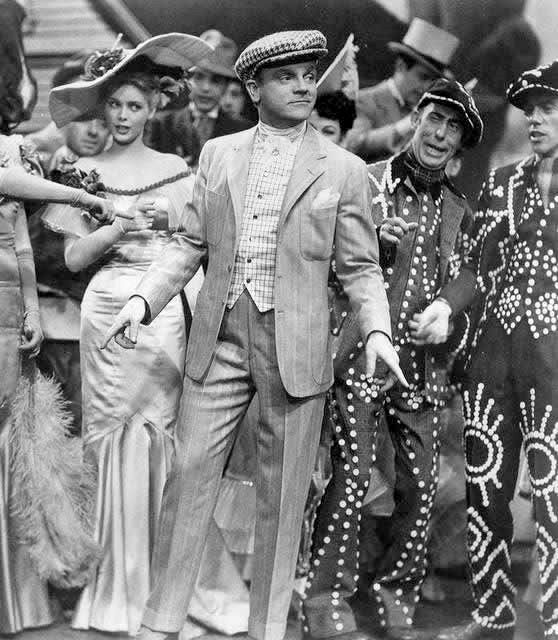 James Cagney performs from the 1942 musical "Yankee Doodle Dandy". 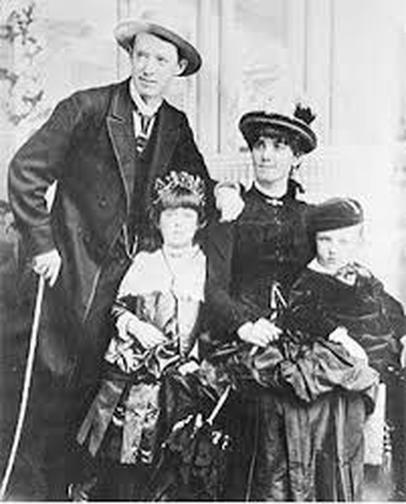 Listening Example: "The Yankee Doodle Boy"
As a child, George Cohan was somewhat temperamental, but he later learned to control his frustrations. 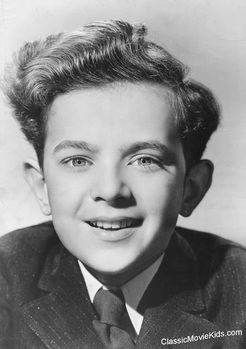 He began his career at age 8 playing violin and dancing. 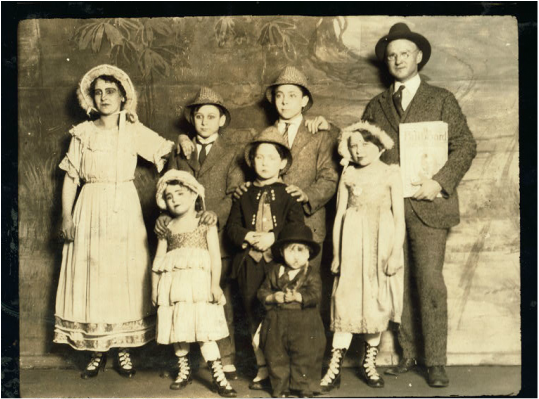 Cohan performed with his parents and his older sister Josie in a vaudeville act known as "The Four Cohans." He joined them on stage while still an infant, first as a prop, then learning to dance and sing soon after he could walk and talk. 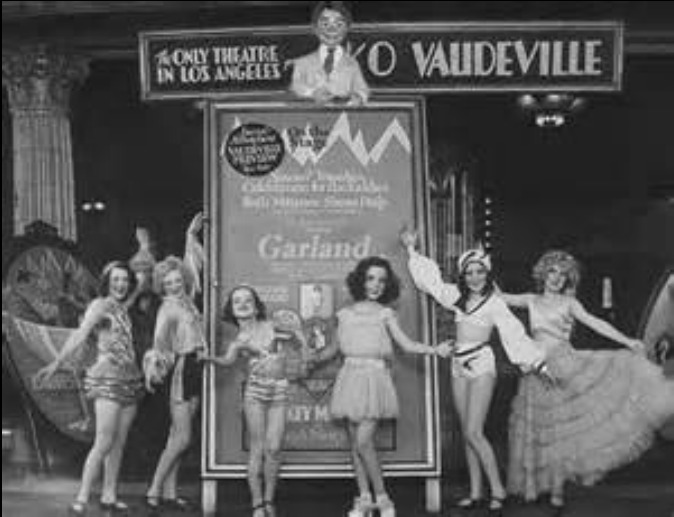 Vaudeville is a type of variety show that was very popular in the late 1800’s and early 1900’s. There is no story or plot in a vaudeville show. 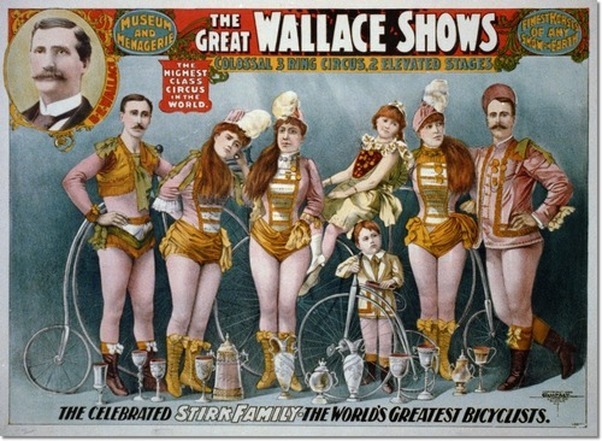 They included singers, dancers, comedians, acrobats, jugglers, magicians and other acts. 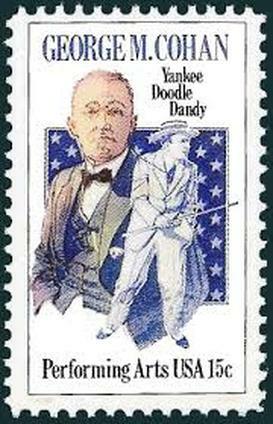 "The Yankee Doodle Boy" is a song most people know as "I'm a Yankee Doodle Dandy". 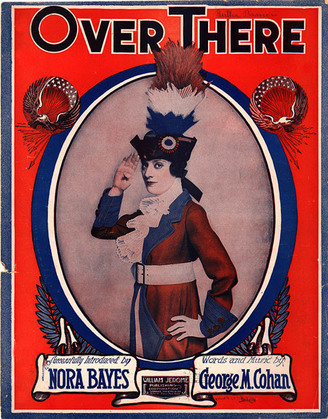 It is a patriotic song from Cohan’s first Broadway musical in 1904. 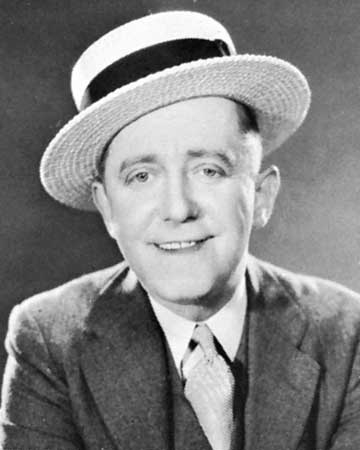 Cohan used parts of popular American songs in the lyrics, as he often did with his songs. 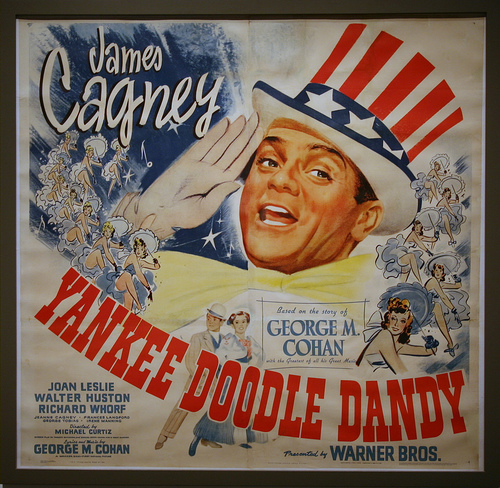 In the show, Yankee Doodle Dandy was the name of a racehorse. 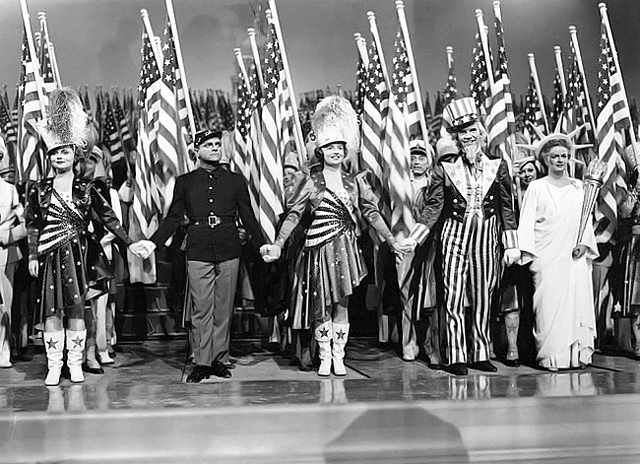 The 1942 film called Yankee Doodle Dandy was a tribute to Cohan’s life and music. The part of Cohan was played by famous actor James Cagney, who was a fine tap dancer. 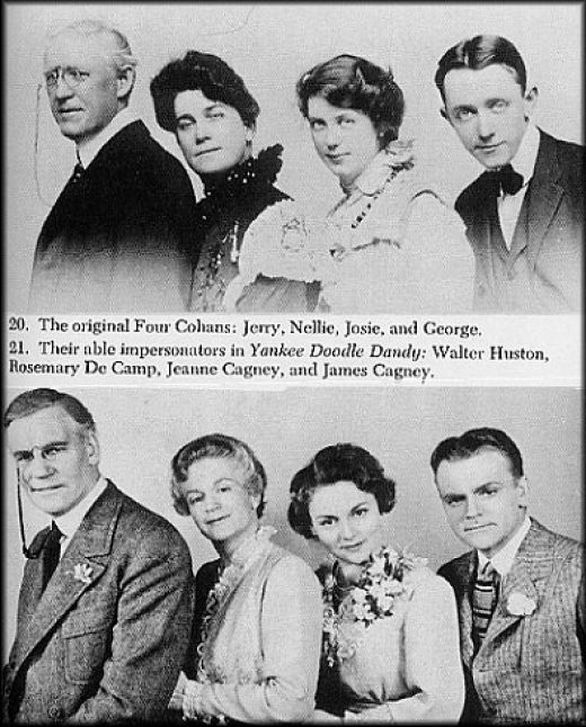 Cagney had a charisma that brought energy and life to Cohan’s music, and brought smiles and laughter to people’s faces. Click below to hear "The Yankee Doodle Boy". In 1917, George Cohan became one of the founding members of ASCAP, the American Society of Composers, Authors, and Publishers. This is an important organization that protects copyrights of artists so no one else gets credit or money for the work they’ve done. 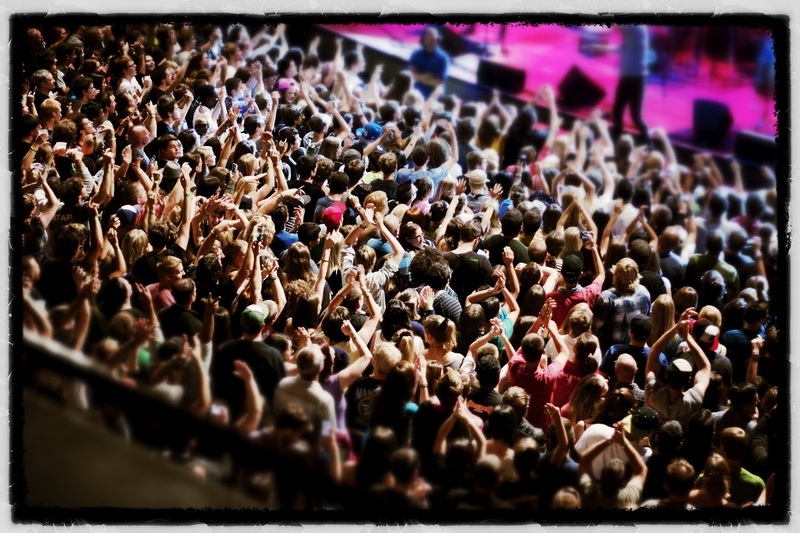 For example, when a musician writes a new song, or an author writes a new book, it is registered with ASCAP, just as new products are registered under a trademark. 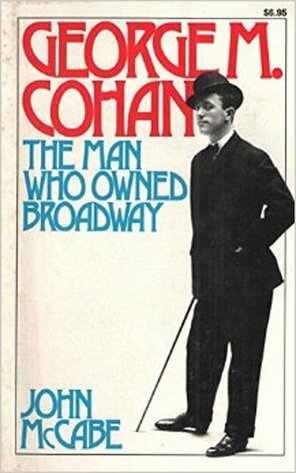 In the early 1900’s, Cohan was known as "the man who owned Broadway". 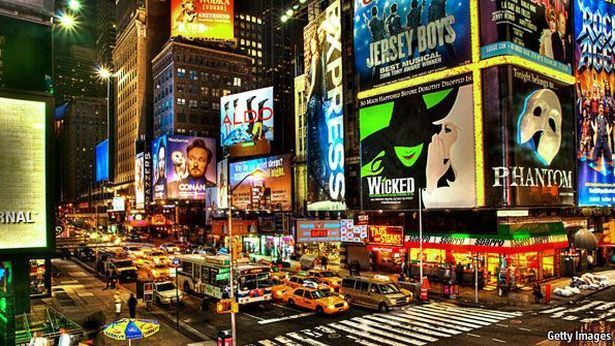 Broadway is the theater district in New York City. From 1904 to 1920, he created and produced over fifty musicals and plays, including one called Give My Regards to Broadway. Cohan’s shows played in as many as five theatres at the same time. Besides live musicals, he appeared in films until the 1930’s, and he continued to perform until 1940, just two years before his death. 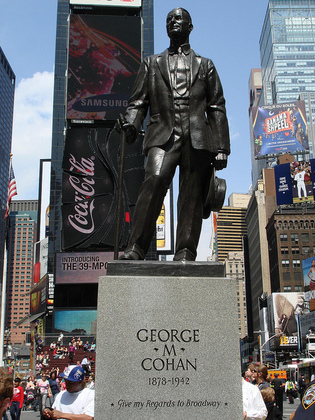 Cohan’s life and music were depicted in a 1968 musical called George M. A postage stamp and an 8-foot bronze statue in Times Square commemorate his contributions to American musical theatre. Dance scenes were an important part of early musicals. In his shows, Cohan used dance not merely as razzle-dazzle, but to advance the plot. Cohan's main characters were average people that appealed to a wide American audience. He appeared in films until the 1930s, and continued to perform until 1940. 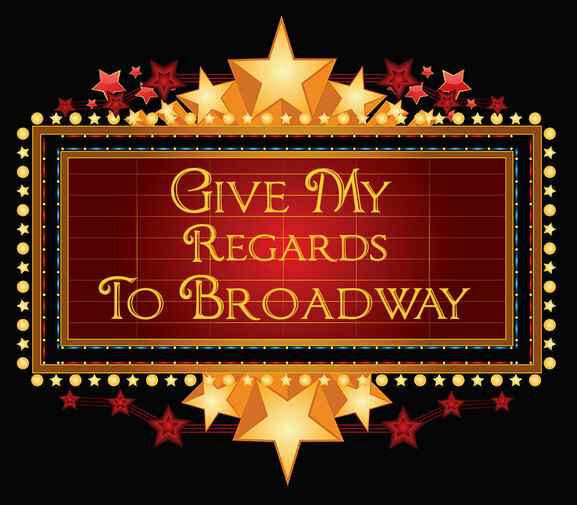 "Give My Regards to Broadway" is a song Cohan wrote for his musical play, Little Johnny Jones, which opened in 1904. It's common for performers to sing this song with a top hat and a cane to represent the idea of Broadway. 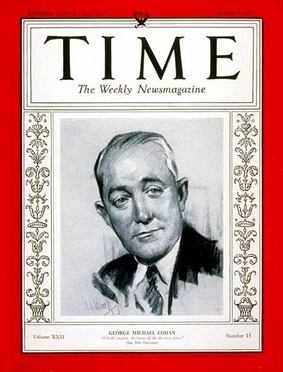 George Cohan made an important, lasting contribution to the entertainment industry besides entertaining. He won recognition by having a federal tax rule named after him. 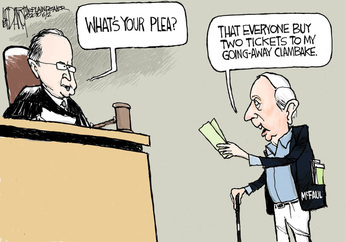 It is known as the “Cohan rule”, and is frequently used in tax cases. 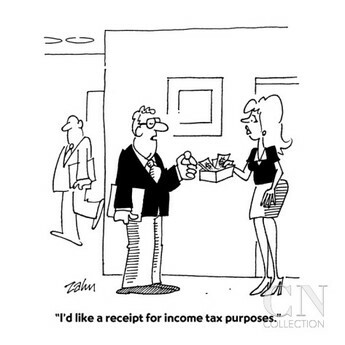 When adults file their federal income taxes each April, different types of tax deductions can help them save money. 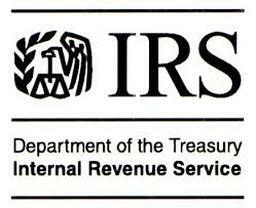 In 1930, Cohan won a law case against the Internal Revenue Service, or IRS, that let him claim tax deductions for business travel and entertainment expenses, even though he was not able to document them all with receipts. Keeping receipts helps people keep track of how much money they’ve spent and what they spent it on. 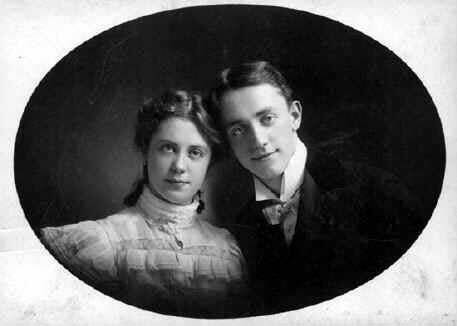 We learned that George Cohan’s whole family was involved in the entertainment business. 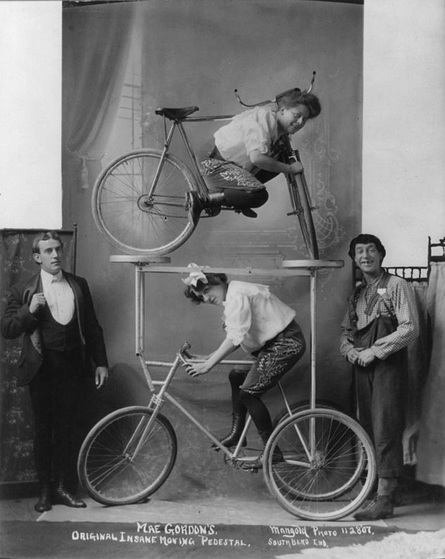 This was typical of entertainers a hundred years ago. If the parents were entertainers, their kids were trained to be part of the act. 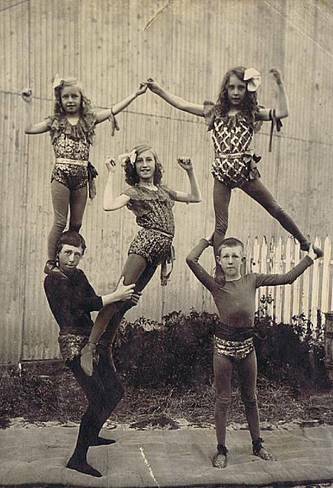 Often, the family might live in a boarding house with all sorts of entertainers. They would want to live close to the theater district where they rehearsed and performed most of the year. 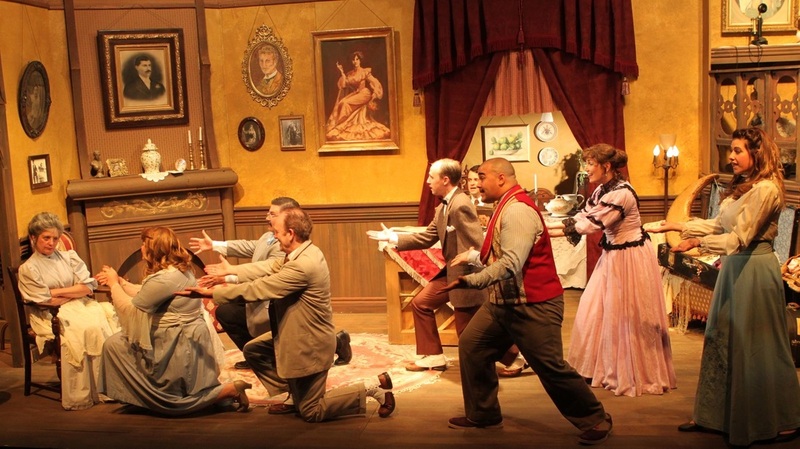 Entertainers at the boarding house plead with the landlady. Our song today is one you might have heard before. “Harrigan” is from a musical called 50 Miles from Boston. It was inspired by Cohan’s memories of happy summer vacations at his grandmother’s home, where he got to spend time with other kids doing things that kids like to do, like riding a bike, climbing trees and playing baseball. 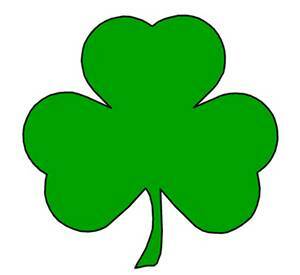 In “Harrigan”, Cohan both celebrates and makes fun of his Irish heritage. It’s recognized by the way the word is spelled out at the beginning. Click below to watch the scene "Harrigan". Cohan was born a few hours before midnight on July 3. He always insisted that he was born on the 4th of July, and included that phrase in his song, “Yankee Doodle Dandy”. One of his favorite theater acts was to close a show with a flag-waving finale that usually ‘brought down the house’. This means the audience loved it and would cheer and give a standing ovation. Cohan became a very rich man, but he lived simply and gave away a great deal of money. When anyone approached him asking for money, he replied, ‘Okay, kid’. He gave allowances to many people he and his family knew in the theatre and had fallen on hard times. Cohan once loaned several hundred thousand dollars to a friend who lost money in the stock market. Under a special act of Congress, Cohan was awarded a Gold Medal in 1936 for his inspirational patriotic songs, including “You’re a Grand Old Flag” and “Over There”. 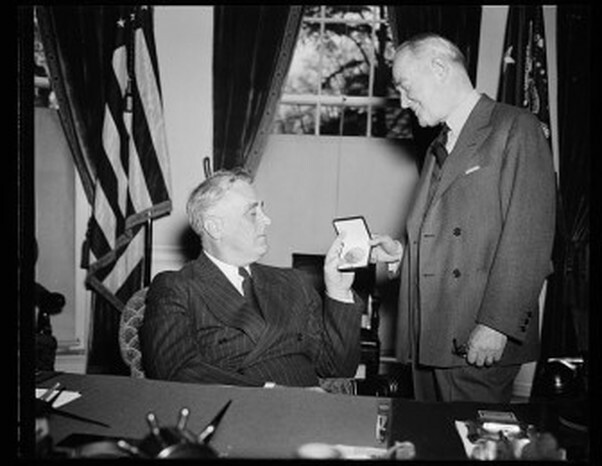 The medal was presented to him by President Franklin Roosevelt. 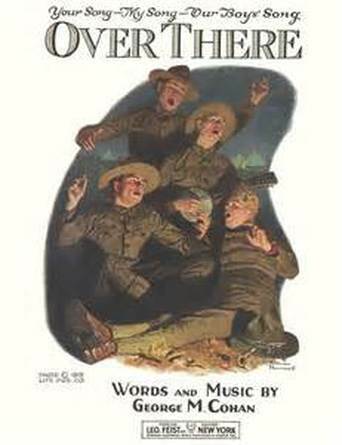 “Over There” is a 1917 song that was written during World World I to encourage young men to enlist in the army. It has been used on occasions during and after World War II, and even after September 11. Like Lee Greenwood’s song “God Bless the U.S.A.”, most people knew the words to “Over There” and would sing along with it. Since the words “over there” don’t apply to any particular country, they can serve as encouragement for sending American troops to any foreign military intervention. 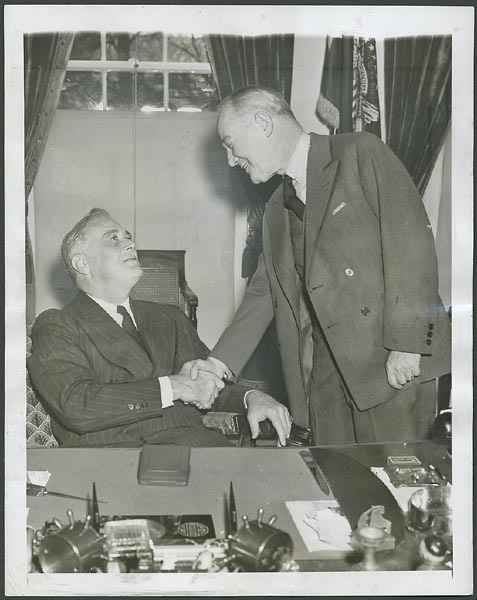 Our listening example is a scene where Cohan (played by James Cagney) leaves President Roosevelt in the White House and goes outside, where troops are marching in the street. The citizens are singing to cheer them on, and Cohan joins the parade.